A lot has happened in the world of Kanye West since his disastrous Yeezy Season 4 outing during the last New York Fashion Week in September. The show was flayed by fashion critics, after he kidnapped them for four hours on the first day of fashion week. They were brought to Roosevelt Island to watch a fashion show and enjoy performance artistry choreographed by Vanessa Beecroft; instead they endured an hour wait for the Kardashian klan to arrive, watched models collapse from the searing sun and assisted stumbling models who couldn’t walk in their shoes. It marked the beginning of a turbulent end to 2016 for fashion’s newest impresario. His wife, Kim Kardashian was robbed at gunpoint of millions of euros worth of jewellery, including her engagement ring. In November he was hospitalised shortly after the derailment of his North American ‘Saint Pablo’ tour. A month later he met with the then President-Elect Donald Trump. Against all odds, his plight made entertainment by the media, West returned to New York Fashion Week yesterday evening. Yeezy Season 5 wasn’t live streamed globally in cinemas, nor was there a stream on TIDAL featuring cityscape drone footage. Pier 59 Studios, a frequently used NYFW venue was occupied by the show. There were rumours that mobile phones wouldn’t be permitted in the show space, but in the end multiple sources were live streaming on Instagram. The looks were projected onto curtains. There was sloganeering, updated trainers, casual sportswear. ‘Calabasas’ and the surrounding Los Angeles neighbourhoods, occupied by the superrich, were printed on sweaters and bomber jackets. (The collection was replete with references to West’s design heroes—Martin Margiela, Raf Simons. To many, it will appear Vetements-ian, but they too cast their eyes upon the aesthetic built by two Belgian masters of the craft.) Uncharacteristically, the event lasted fifteen minutes, like a normal fashion show. Following the projections, the looks circled the runway. On the topic of his status of a celebrity designer: West won’t be considered anything other than this if he continues to saturate his shows with pretension and entitlement. He made an attempt to eradicate that here—he didn’t even take a bow at the end of the show. (The uprooting of fashion week scheduling took place again this season. That’s celebrity culture for you.) Victoria Beckham, who displayed a fine offering on Sunday morning complete with loose tailoring and reworked masculine tailoring, has excluded herself from the celebrity designer equation. 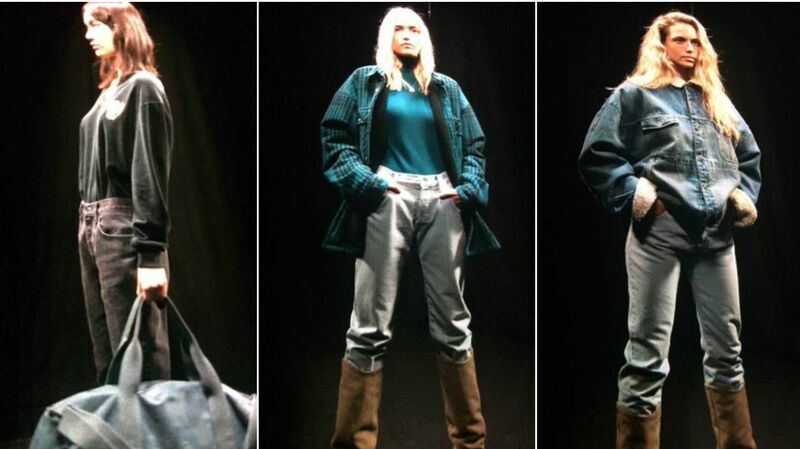 Likewise, Mary-Kate and Ashley Olsen’s The Row promote the antithesis of loudness. Rich fabrics, muted tones (with the occasional pop of mustard and saffron) control the process. They build, incrementally, the staples of a woman’s wardrobe. It’s desirable and the development of the silhouette and fabrication is beautiful. These operations are not centred on the designers (albeit, Beckham’s line draws inspiration from her personal style, it doesn’t come across as a vanity project) but the design, and that’s where the focus must be. Credit where credit is due: West attempted to remove the cult of celebrity but his work didn’t resonate in the way it likely set out to. Kanye West changed things up this season, finally. 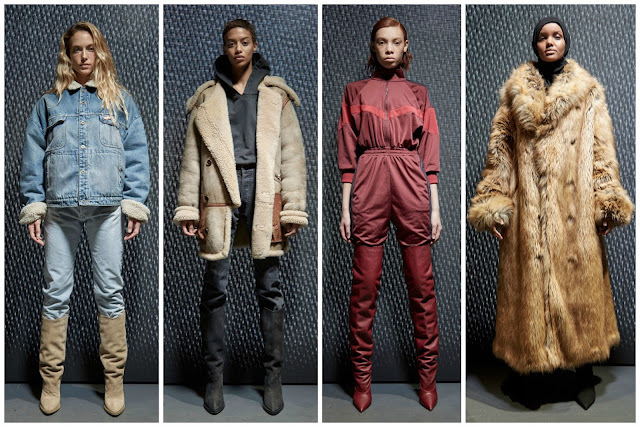 Yeezy Season 5 forewent spectacle. It was simplified: there was a fashion film and a fashion show. I believe wholly in the democratisation of fashion—everyone deserves a chance in the industry. West has been granted with ample opportunities. The critics return season after season, only to be delivered with the same punchline: not much will change and the industry needs him more than he needs them.